Iphoto is an internet picture downloader to download pictures, photos, images, JPG, GIF from web or internet. It can access your favorite web sites with a maximum of 8 threads simultaneously. 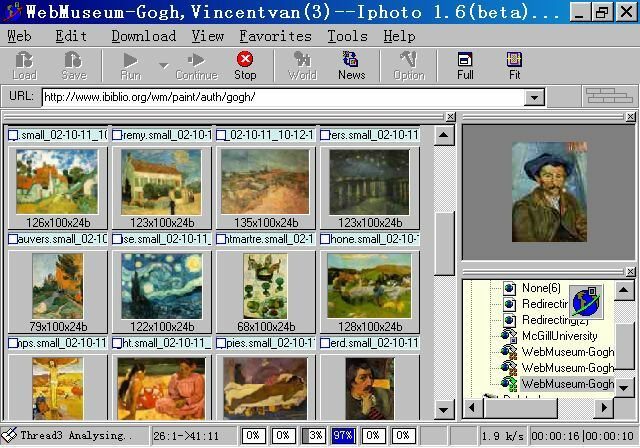 It analyzes the structure of the web site, finds the pictures and photos (JPG,GIF) and downloads them to your hard disk, letting you see the pictures at your own convenience later. It makes the picture download a fun task to do. Enjoy your download picture journey with Iphoto!